I always look forward to winter season to be able to captures some scenes like this. 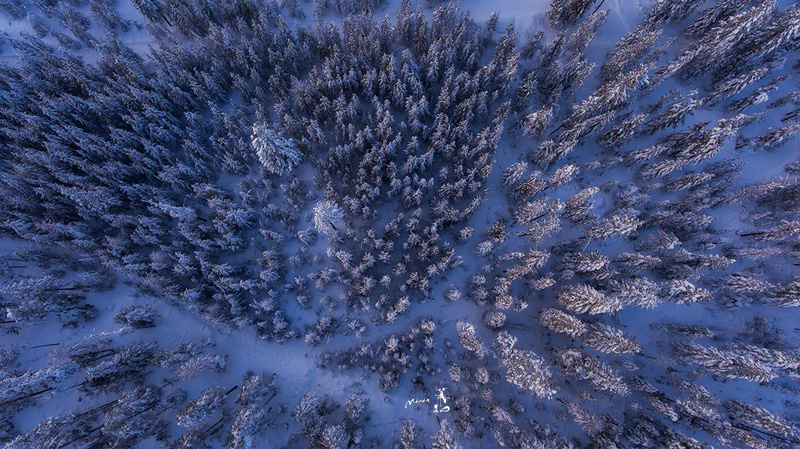 Trees of all sizes and shapes covered in snow always look fun with the distorsion from the Phantom 4 lens. Blue hour scene exploring Washington state...Hopefully more captures before the end of winter!